Hello to all of my Great Impressions friends! Happy Friday! Its Ellen from In a World of Craft here. 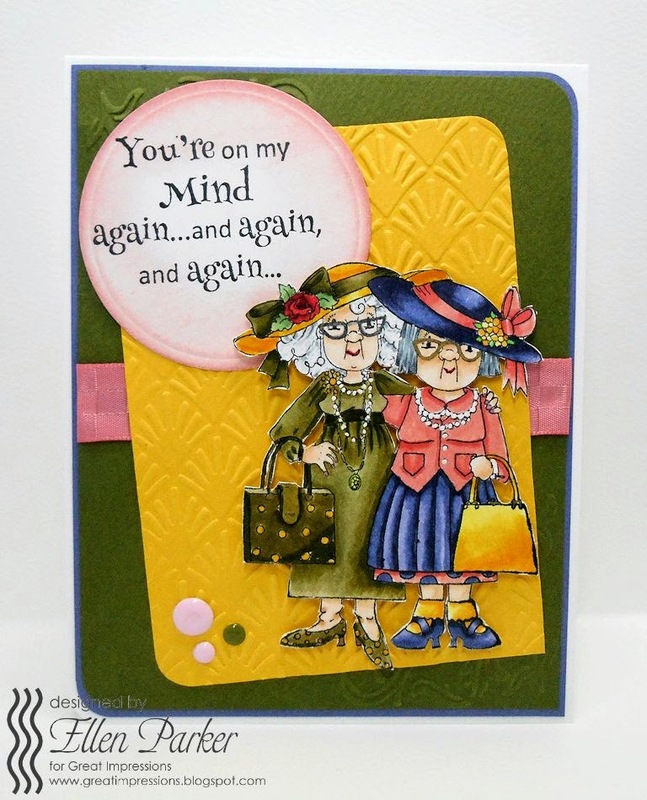 Let’s start the day with a card using two new stamps from Great Impressions! I don’t know about you, but I fell in love with these two sweeties! And, the sentiment just made me giggle! Want more details? Please stop by my blog to read more!